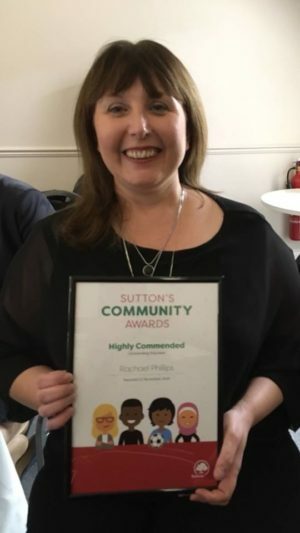 Our branch co-chair Rachael Phillips was commended as an Outstanding Volunteer at the 2018 Sutton Community Awards. Along with 11 other individuals and groups, she attended a ceremony hosted by Councillor Steve Cook, Mayor of the London Borough of Sutton, in honour of their contribution to the community. Each year, the Sutton Council Community Awards recognises individuals and groups who have made an exceptional contribution to making Sutton a better place to live.